MANILA (AFP) - President Benigno Aquino on Friday named a veteran judge as the first female chief justice of the Philippine Supreme Court, following his controversial ousting of her predecessor. Supreme Court associate justice Maria Lourdes Sereno, 52, was named to take the place of ousted chief justice Renato Corona after he was impeached by Mr Aquino's congressional allies in May amid a public feud with the president. 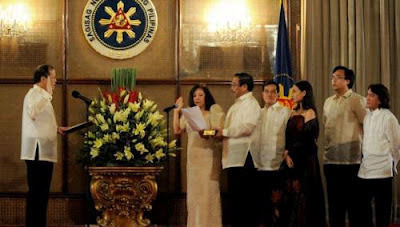 Mr Aquino had sought the sacking of then-chief justice Corona, saying it was part of his anti-corruption reforms. But critics said he wanted to ensure his control of the court.